Shuichi Okita – graduated from Nihon University College of Art’s Cinema Course in 2011. Produced his first feature-length film, ‘Kono subarashiki Sekai’ in 2006. In 2009, the highly-praised ‘Chef of the South Polar’ became a national hit. In 2012, ‘The Woodsman and the Rain’ won the Special Jury Prize at TIFF and three awards at Dubai IFF. The following year, ‘A story of Yonosuke’ won Best Picture at the Blue Ribbon Awards. ‘Mori, the artist’s habitat’ – heart-warming, original story of legendary artist Morikazu Kumagai who lived his last 30 years as a recluse, observing and drawing the creatures of his garden. 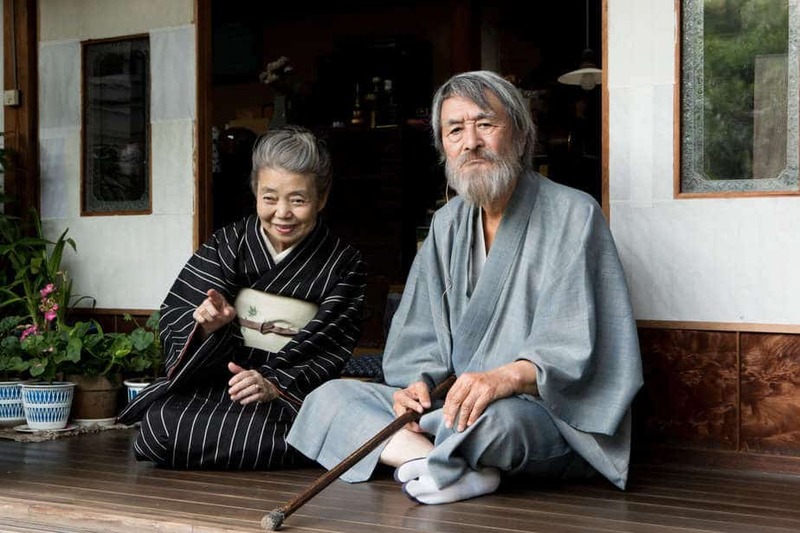 Mori, 94 and his wife, Hideko, 76 have been married for 52 years. Their home is often bustling with people. The film takes place on one such summer day in 1994. 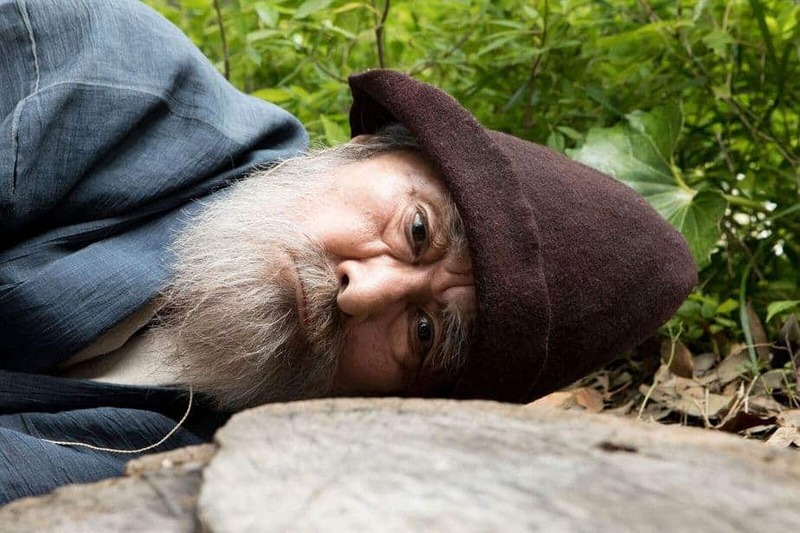 ‘The Woodsman and the Rain’ – when a film crew comes to an idyllic mountain village to make a zombie movie, woodcutter Katsuhiko reluctantly assists with the shoot. Rockie director Kouichi can’t control his crew and faces a crisis. Despite trying to avoid one another, the old woodcutter and shy young movie director end up to the center of an unpredictable collaboration between the crew and villagers. The interview was conducted during the 31st Tokyo International Film Festival. The author wants to express sincere gratitude to the good offices of all the Festival crew. You are known as a director who has a habit of portraying socially peculiar and marginal characters, as if they all were meant to accidentally find the stage. Among them there’s extraordinary in his good nature Yonosuke, rustic and grumpy lumberjack Katsuhiko and recently Morikazu Kumagai – artist who lived over 30 years drawing in reclusion. As for me, I portray characters that one can find anywhere in this world. Not that it’s sort of my peculiar hobbies. This time, Morikazu Kumagai is quite a phenomenon, though. I don’t believe there are many people like him, however I think some of these ‘peculiar’ personas might be actually not as peculiar as they may seem to be and and can be found nearby, if one searches well. Your sense of humor is not only situational, but it’s often based on the language itself, such as in ‘A story of Yonosuke’, for instance. Don’t you think these nuances might be quite difficult to translate to Western viewers? There’s certainly some part which is untranslatable, but I’m trying to fit into the Western standards and create also such situations, so as to make everybody could laugh. There are many cultural differences and that’s inevitable, so there’s no point in overdoing it and making it even more complex. Your movies are brimming with humanism. What makes you feel so interested in human introspection? Telling the truth, when shooting a movie I’m not thinking whether it conveys warm feelings or not. My goal is to show people who are quite ordinary and live nearby all of us, that’s also the reason I don’t want to portray villains – fortunately there are not so many of them among us. One of my inspirations was Juzo Itami. Tsutomu Yamazaki told me also a lot about his experiences during the shooting of ‘Tampopo’. There’s a very memorable line in ‘Mori, the artist’s habitat’: ‘art is a good thing, even if it’s not skillfully made’. Do you actually believe so? When I start shooting a movie, I never actually know when it will lead me in the end. Maybe it’s a sort of excuse for me (laughs). I don’t really know, but I think I could write my name under that statement. When you watch those great actors such as Kirin Kiki who has just recently passed away or Tsutomu Yamazaki in his advanced age, do you think that some period in Japanese cinema has irretrievably gone away? Kirin Kiki admitted that there aren’t many female characters like the one she portrayed in the movie. What do you personally think? Oh, well, I’m not sure! There still might be a few (laughs). We live in modern Japan, that’s for sure, so even the atmosphere of the house is different. I just pray that there still are certain things that are unchangeable. Since we’re standing in a position when there’s a lot of going to change in Japan, starting with the birth of the new era next year, how do you thing it’s all going to progress? 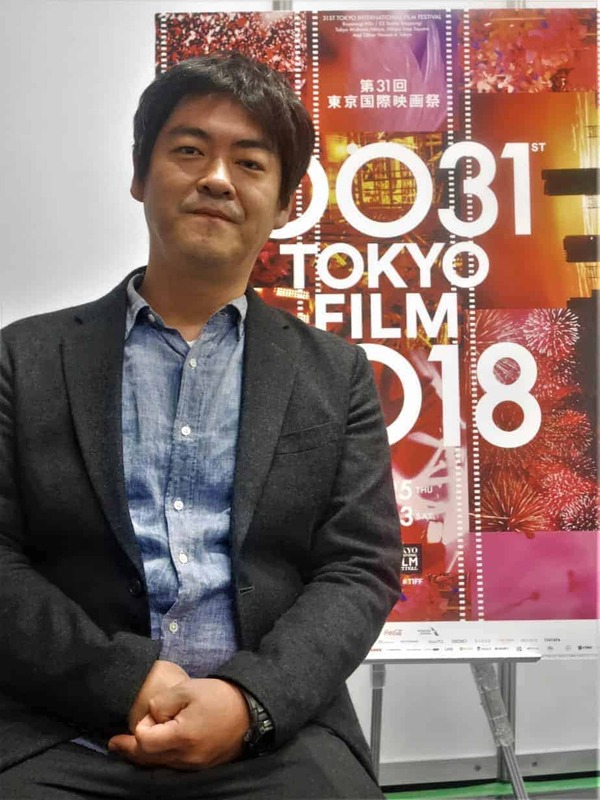 I think that as for the Japanese cinema, there are still issues to cope with, so contemporary film directors are facing huge challenge on how to move on. I look in an optimistic way, though. 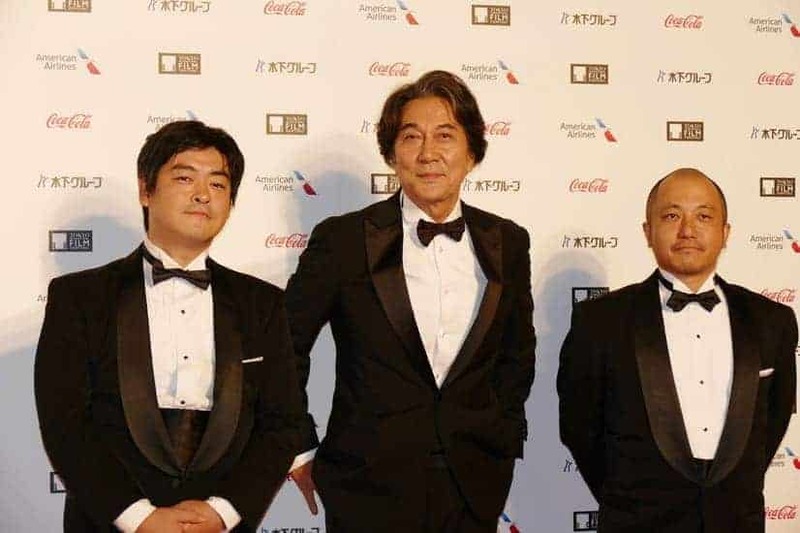 The previous day I walked the red carpet alongside Koji Yakusho and Kazuya Shiraishi and I thought that certainly we must have been somehow connected that we found ourselves re-united together at that particular place and time. Maybe it’s just a mere coincidence, but I hope there will be more and more of such special occasions for me and others, as well. PhD candidate at Adam Mickiewicz University in Poznan and a researcher at Waseda University in Tokyo, film/theatre critic, professional translator/interpreter from Japanese, event planner and artist manager, nowadays preparing a book on the concept of intertextuality in Terayama Shūji’s art and own festival dedicated to the 100th anniversary of Polish-Japanese diplomatic relationships together with two major institutions – The Gdansk Shakespeare Theatre & The Grotowski Institute in Wroclaw.